The face of marketing has seen a massive change over the years. We’ve made a conscious shift from offline to online, making digital marketing the go-to way for many brands and individuals to market themselves. Today’s target audience, on a larger scale, is very digitally active and vocal. Anyone and everyone has a social media account that they’re up-to-date with. While social media platforms were primarily designed to create active social communities on a virtual front, they gradually turned into potential marketplaces for companies and sole owners to utilize. This is why today, no matter what field a brand is into, they make sure that their digit marketing plan is as solid as their offline one. Instagram is one such platform that has seen a massive and evident boost in terms of marketing. The number of followers, views, likes, and comments can make a significant difference to a brand’s presence on Instagram. Several brands have assessed and understood the power of social media and how the right online presence can translate directly into better sales and revenue for them, not to mention creating brand recognition on a large scale too. Why is brand engagement important? When a brand creates goodwill for itself in the market, its popularity can be measured by its customer loyalty and market reach. Similarly, when it comes to a virtual market, assessing these factors becomes easier when engagement becomes quantitative. In other words, likes, comments and views can be measured, hence, the more the engagement, the better the brand’s performance. A brand that has more engagement automatically becomes more popular. A “trending” brand has higher potential to extend its market reach and cater to a larger number of people in a short span of time. And, of course, it is ultimately up to the brand to strategize their content online and make sure that it’s worthy of more engagement. Most importantly, any brand that wants to increase its reach rapidly cannot ignore that Instagram is one of the most potential and happening platforms in the current scenario. Let’s see how we can get more likes on Instagram through these tried and tested methods of increasing user engagement on a brand profile. However popular or not a brand is, content is the key factor that drives engagement to the maximum. That being said, a brand needs to closely evaluate how good or not their content is. Interesting and engaging content can catapult any name to become a popular one, and boring or monotonous content can send even a very popular brand spiraling down. Any brand needs to focus on maintaining a creative stance and producing engagement-worthy content. Each post has to be strategically created, in order to appeal to the audience and generate positive reviews as well. Today’s market is all about inclusive promotional content. This means that brands need to actively involve their consumers in every campaign that they release, either through encouraging real-time feedback, using them as ambassadors, providing discussion forums, contests and giveaways, and so on. When a brand employs these tactics, they’re creating a sense of inclusion for their audience, which invariably also creates a personal connection with them. Thus, brand loyalty amongst consumers can become a reality through carefully executed marketing plans. Giveaways and contests have become big on social media in recent times because brands have realized that this is a very effective strategy to increase engagement on posts and also increase their follower count. Contests create a buzz for the brand through relevant hashtags, reposts, user-generated content, shout outs and so on. In return, consumers get to participate in and win interesting prizes, which motivates them to be even more engaged with the brand’s content. This is a good example of a win-win situation, where both parties involved are deriving some gain from the campaign. 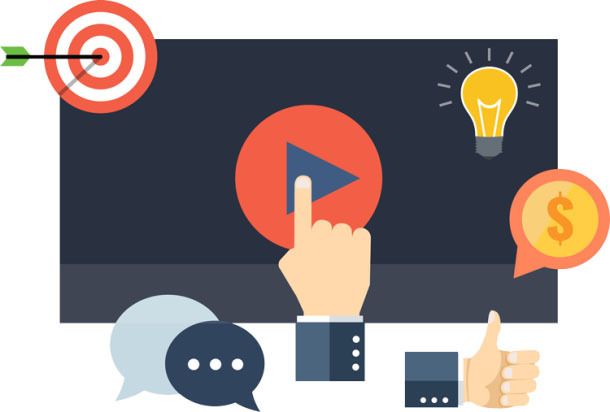 Research shows that video content is the most engaging content on the internet! It manages to create a buzz and become popular amongst viewers much faster than just plain text and images. Video marketing, if done right keeping current trends in mind, can make even an unknown brand popular overnight. Such is the power of powerful visual content, that can manage to keep viewers interested and also put across the desired message in the most effective way. Celebrity endorsement has been around for the longest time, and one cannot deny that it continues to be one of the most effective ways of promotion. Using familiar and popular faces to market your brand online can generate a lot of traffic around your content and that particular campaign. Getting sufficient engagement on such posts is rather effortless because the popular name associated with the campaign itself is enough to make an impression on the audience. While celebrity endorsement can be an expensive affair, the results obtained are almost always worth the investment. Influencer marketing works on a principle very similar to celebrity endorsement, but the major difference here is that influencers have a slightly smaller reach. Nonetheless, influencers can make a massive difference to your stance in the market. Users who connect with a particular influencer are pretty likely to get connected with your brand as well. Collaborating with influencers and getting them onboard as ambassadors can definitely boost your engagement. Consistency is what will make sure that your brand is fresh and relevant to your followers, and this has a lot to do with how often you post and how much you interact with them as well. Once you made that connection with your followers, it’s also essential to maintain it and not lose their interest. Monitoring the frequency of your posts, posting at the right time, staying relevant with current market trends and so on are some of the many ways that a brand can remain a favorite amongst its audience and also generate a good amount of engagement. With the competition in the online market being so rampant and neck to neck, it’s only smart for a brand not to get left behind in the race. Hence, engagement and numbers make a huge difference to a brand’s social media reach and presence!